DC Entertainment has revealed the first elements of its line-wide relaunch planned to begin in June. The company first teased the relaunch last month (see "DC Teases 'Rebirth'"), as news leaked that DC’s top writer, Scott Snyder, would be moving from Batman. After the release of the #52 issues of the "New 52," which will ship in May, the relaunch will kick off with an 80-page DC Universe: Rebirth one-shot, written by DC Chief Creative Officer Geoff Johns, which will street May 25. DC Universe: Rebirth will feature art by Ethan Van Sciver, Phil Jimenez, Ivan Reis, and Gary Frank on the Johns story. The 80-page special will be value-priced at $2.99, the beginning of a value positioning that will see all DC Universe monthly and twice monthly titles priced at $2.99. The special at the end of May will be followed by relaunches of the full DCU line, some to be published twice monthly, others to be published monthly. And in a move that will undoubtedly please long-time collectors, DC is returning to the original numbering for its two original flagship titles, Action Comics and Detective Comics. Action Comics will resume with #957, and Detective with #934. With both among the titles planned for twice monthly shipping, they will quickly reach the landmark #1000 issues. DC Co-Publisher Dan DiDio laid out the rationale for the relaunch. "Rebirth is designed to bring back the best of DC’s past, embrace the stories we currently love and move the entire epic universe into the future," he said. "We are returning to the essence of the DCU. With Rebirth we are putting the highest priority on the direct market and we will continue to create and cultivate new opportunities for retailers to thrive and prosper, grow readers, fans and customers." Retailers have been anxiously awaiting DC’s plan to rejuvenate its monthly comic sales, which have been at a low ebb recently, with both market share and sales on individual titles weaker than they’ve been in years (see "How Low Can DC Go?"). 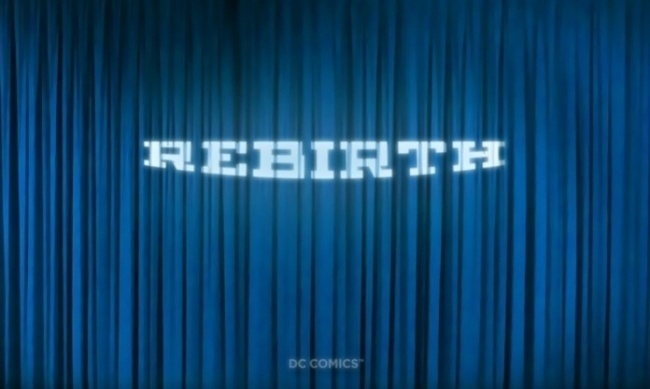 DC plans to reveal creative teams and additional details for Rebirth at WonderCon on March 26.